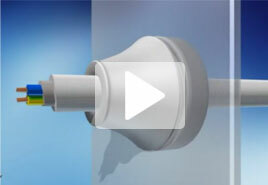 High quality and a wide range of cable protection and cable connectors, these are our strengths. 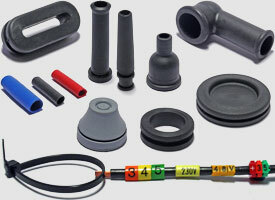 We are your reliable partner when it comes to membrane grommets, rubber sleeves, strain relief grommets, sleeved grommets and moulded caps. 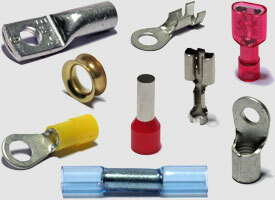 Of course, cable clamps, cable marking and shrink tubing are available in all sizes and types in our product portfolio. 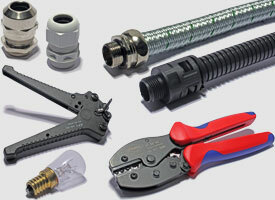 In terms of cable connectors, we are always ready to provide you solderless terminals, receptacles, ferrules and cable lugs. The right tools can also be obtained from Prechter + Renner. Our expert team will also advise you on all your questions and projects, where cable grommets, cable glands and cable strain relief is an issue. With these principles we supply special electricals parts over 60 years for industrial and wholesale customers. Our staff will be pleased to advise you and work out offers according to your requierments. With thousands of articles in stock, it is possible for us to process and ship of your orders quickly.